Before you begin setting up your own instance of FileMaker Cloud, it helps to know some fundamentals of how it works. What is “the cloud”? What does it take to set it up? 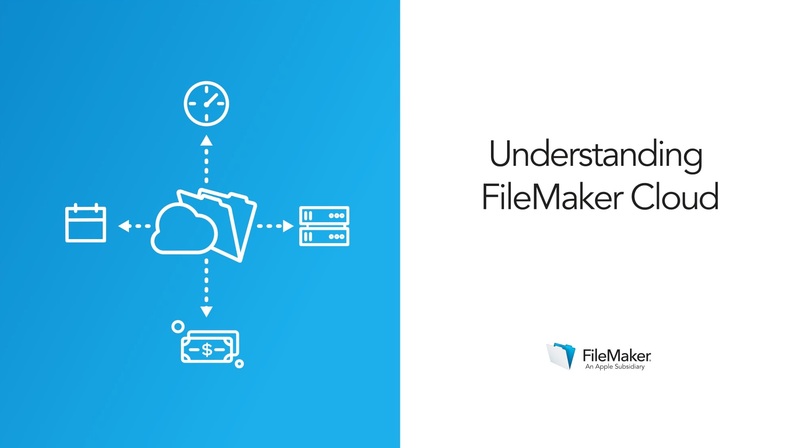 This lesson will orient you to how FileMaker Cloud works, and define some of the terminology specific to cloud hosting. FileMaker Cloud is run on the Amazon Web Services (AWS) platform. It takes advantage of this established “cloud,” benefitting from the robust, vetted platform while overlaying software specific to hosting FileMaker apps. FileMaker Cloud and AWS are essentially two different services, and those services are billed separately. This lesson will break down the billing structure to help you sign up for the right services and know what to anticipate. How powerful does your cloud server (“instance”) need to be? FileMaker Cloud is the simplest way to deploy your app safely, but there are still a few different elements involved. Understanding those will make the set-up process easier for you. Without understanding the billing structure, you may incur accidental costs. It helps to know your choices in advance, make selections based on your needs, and anticipate a bill that matches your choices. Learn how FileMaker Cloud deployments work and what to expect for your own FileMaker Cloud deployment.